A Tasmanian Consortium (TasPac) comprised of shipbuilder Incat and steel fabrication and construction company Haywards has joined in the ThyssenKrupp Marine Systems’ (TKMS) and UGL Engineering’s joint bid for the supply and support of replacement Patrol Boats for the Pacific. The tender, worth in the excess of A$1 billion, is for replacing and maintaining up to 21 Pacific Class patrol boats under an Australian Foreign Aid program that supports the county’s Pacific Island neighbours to independently patrol and protect their economic exclusion zones. TKMS Australia, the subsidiary of project leader TKMS, will drive the overall acquisition program, fully integrated with UGL Engineering in its through life support role. “We are committed to Australia and to our Australian business. 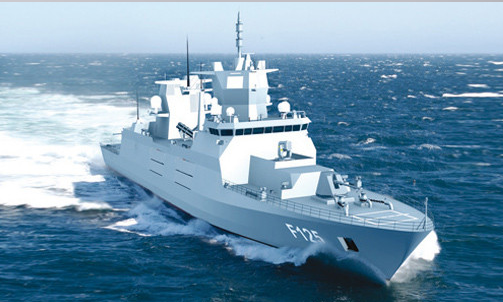 We’ll bring all of our experience, our latest technology and our support to Australian and regional naval and maritime programs,” said Dieter Rottsieper, Deputy CEO of TKMS. Incat Tasmania has been around for nearly 50 years and has made a name for itself with its high-quality range of Wave Piercing Catamarans. The company is now also building smaller ferries of between 30 and 40 metres, for local and export markets. Haywards has a long tradition of steel boatbuilding in Margate and a steel fabrication base in Launceston, which also features as the Patrol Boats’ training base at the Australian Maritime College, at AMC Search, keeping the boats and crew in Tasmania until they sail away to their Pacific Island Countries. Rob Dunbar, the Head of Operations for TKMS in Australia, said Incat and Haywards were chosen as the company’s boat builders based on their longstanding success in the competitive international commercial market. ”Our emphasis on the maritime heritage that is Tasmania, combined with our first class technical and support solution, provides a compelling case for our bid,” Mr Dunbar said. Craig Clifford, Managing Director of Incat, said he was excited by the longer term prospects for the company’s team. “Whilst naval shipbuilding in Australia has developed a dependency on Federal Government policy, the Tasmanian Patrol Boat solution is quite different,” he said.